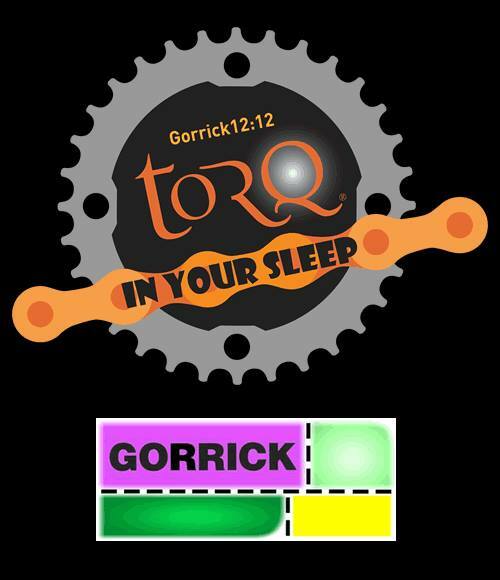 One of the UK’s most established and popular 12 hour endurance races, TORQ In Your Sleep, is back for 2015. This Epic Event certainly has a great format and is one we all know and love.. The event provides an exciting and challenging 6 and 12 hour Endurance race (some of which takes place in the dark). Inevitably there will often be the added unknown contentions of the conditions and technicalities to provide the extra bonus of entertainment, dertermination and grit. This Epic race can be conquered as either a Soloist, a Pair or as a Team. Therefore the challenge of an improved time or podium position is worthy of the battle. For 2015, there will also be the additional catagories and prizes for Fat bike and Single Speed Racers too. This family event also features Children’s and Young Riders’ races too, thus allowing all of the family to get involved. The event takes place on the Sunday of the August Bank Holiday weekend and starts at 12:00 Midday and races through to 23:59. The Minley Manor course provides a fun 8 mile lap, which at speed can test even the most accomplished of riders. The course (which always maintains its structure and can thankfully withstand any conditions), runs through exciting woodland and loamy tracks. It can therefore be thoroughly enjoyed by every level of rider. 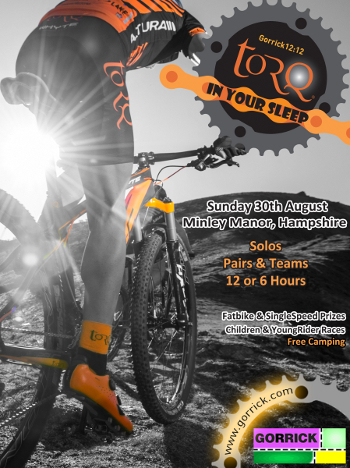 TORQ, as always, are the headline sponsors for the event, so will be on site all weekend with our full range of Performance Nutrition Products and Performance Mountain Bike Team. For those of you who wish to chill before or after the event there is FREE CAMPING from Noon on the Saturday right through to 2pm on the Bank Holiday Monday afternoon. The event offers a full programme of riding including Children’s and Young Riders’ races, computerised chip timing, In-Vision results screen, a bike mechanic, a Marquee HQ, Trade Arena, quality catering all weekend, toilets, hot showers, DJ and music plus free beer and drinks at the main prize giving. Noon – The Minley Manor Venue opens for catering and FREE CAMPING. 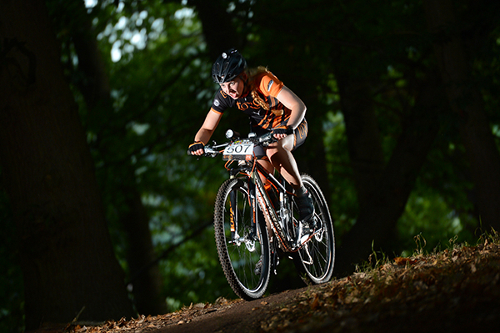 Noon – 3 p.m. – Our classic 8 mile, figure of 8 XC Endurance Course OPENS for pre-riding. 2 p.m. – Registration opens for the Children’s and Young Riders’ Races. The Toddler Track is open and available all weekend. 3 p.m. – Children’s and Young Riders’ SHORT COURSE RACES START – (age categories 6 to 15) medals and sweets for all. 5 p.m. – 8 p.m. – The Course re-opens for pre-riding. 5 p.m. – 7 p.m. – Registration opens for 12:12, offering Rider Pack collection and Team confirmations. 8 p.m. – 10 p.m. – Film Night at the Marquee with free popcorn and some beer. 8 a.m. – The Arena opens, offering catering and trade stands. 8 a.m. – 10 a.m. – The Course is OPEN for pre-riding. 8 a.m. – 10.45 a.m. – Registration opens for Rider Pack collection and Team confirmations. 11 a.m. – COMPULSORY RIDER BRIEFING at the Marquee for ALL 12hr RIDERS. 12 noon – The Epic 12:12 RACE STARTS – with In Vision live screen timing in the Marquee. 2 p.m. – COMPULSORY RIDER BRIEFING at the Marquee for ALL 6hr RIDERS. 5 p.m. – The DJ session under the bridge begins. 7 p.m. – All riders to have front lights mounted. 9 p.m. – The Incredible 6hr RACE ENDS – riders finish the lap that they are on. 10 p.m. – The 6hr Race Prize Presentations in the Marquee. 11.30 p.m. – 1.30 a.m. Beer and drinks available (FREE for riders) plus chocolates in the Marquee. 12 midnight – The Epic 12hr RACE ENDS – The Course closes and riders finish the lap that they are on. 1 a.m. – Prize Presentations in the Marquee and a Killer Prize Draw (where any RIDER who entered either main race can win, but they must be there to collect their prize). A Huge and generous prize pool. 9 a.m. – 12 p.m. Breakfast rolls served in the Marquee. For more information about this Epic Event, head to the Gorrick Website www.gorrick.co.uk , Twitter Feed @Gorrick or the event facebook page. This event is by PRE-ENTRY ONLY. Therefore entries will close as soon as the catagories are full, or otherwise one week prior to the event. It will NOT be possible to ENTER ON THE DAY, so please book early if you wish to avoid any disappointment. To be a part of the excitement, please enter yourself or your team ONLINE NOW.